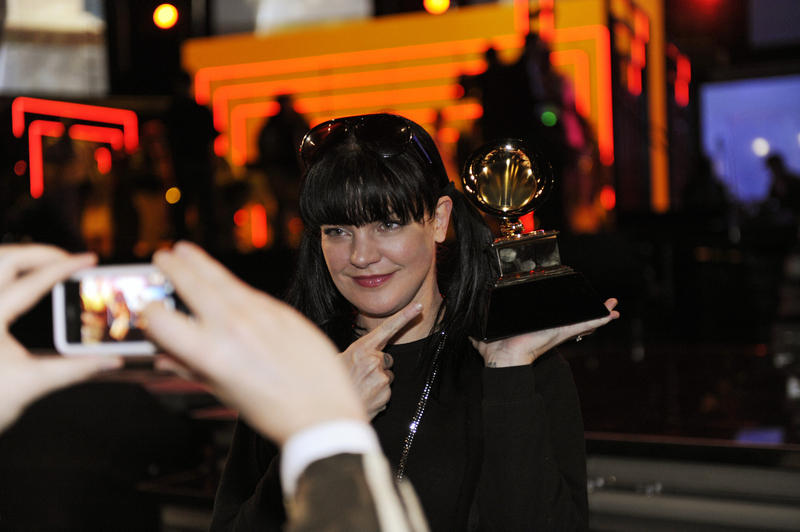 NCIS' Pauley Perrette "borrows" a GRAMMY Award during rehearsals at The 55th Annual GRAMMY Awards. The music industry's premier event will take place Sunday, Feb. 10 (8:00-11:30 PM, live ET/delayed PT), at STAPLES Center in Los Angeles, on the CBS Television Network. Photo: Jeffrey R. Staab/CBS ©2013 CBS Broadcasting Inc. All Rights Reserved.